I earned my fun mom points for that day. 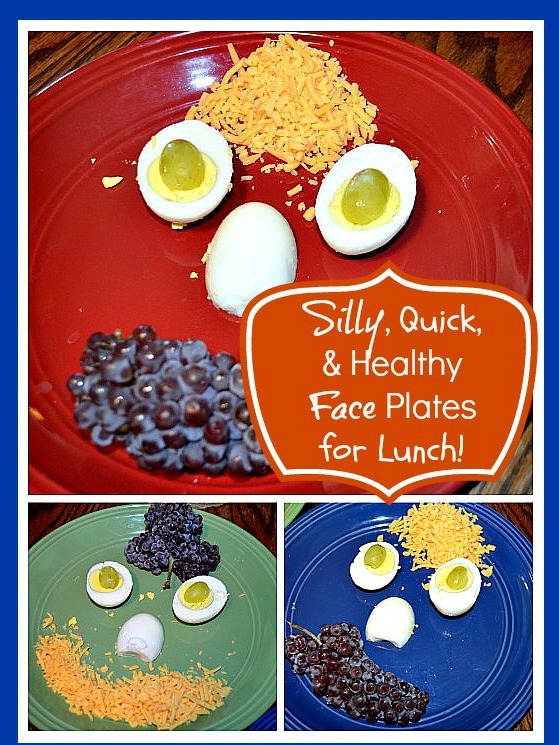 The silly face lunch plates were a big hit! Here’s what I made the kids for lunch yesterday. My older boys where working outside with their dad on a project so I just had the little ones to get lunch for. I used hard boiled eggs for the eyes and nose, cheese for hair or mouth, and champagne grapes for the mouth or hair. There are no leftovers when I make silly face plates for lunch! 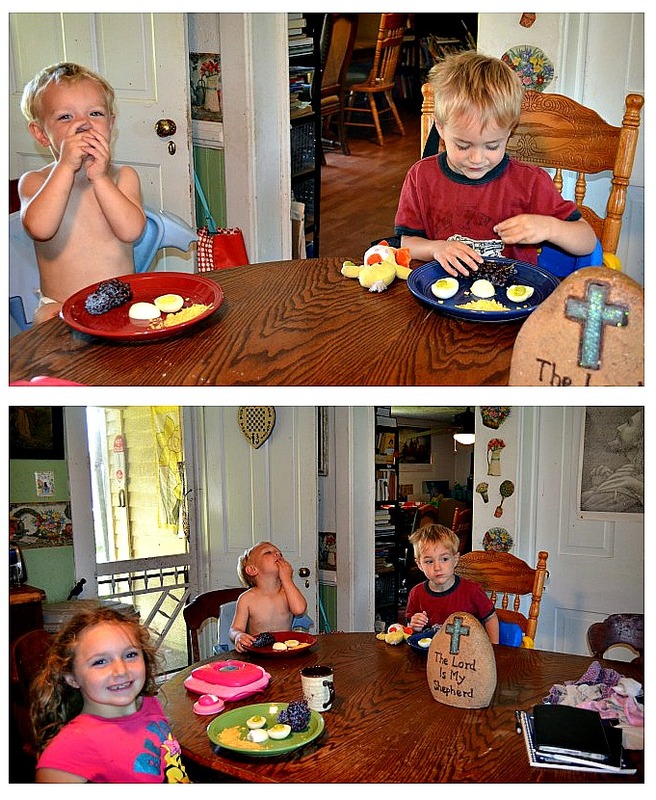 It’s also fun because the kids literally giggle the entire time they eat. They like to recreate the faces and make it a silly time. This quick and healthy lunch idea is great for homeschool lunches. 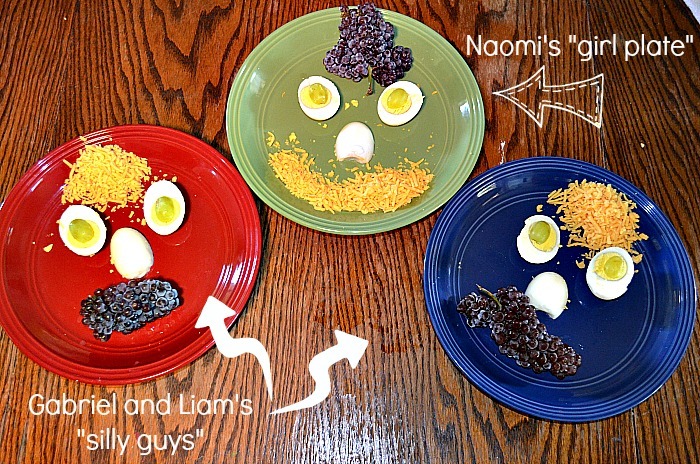 It’s easy on mom and the kids can even design their own plates. Take a quick inventory on what you have in the refrigerator. I bet you have many items to pull together some fun silly face plates. What would you put on your silly face plate?